In Mums Last Wish we will follow Kalvin and Shanti as they try and make the dreams of their late mother come true. Seema Sharma passed away at the beginning of 2015 after a long and highly publicised battle with cancer that placed her in the spotlight of national campaigns and media interviews with well-known publications. Her battle was fought over the course of 5 years and throughout that time she managed to write a book, release a song and continue to raise two children on her own. 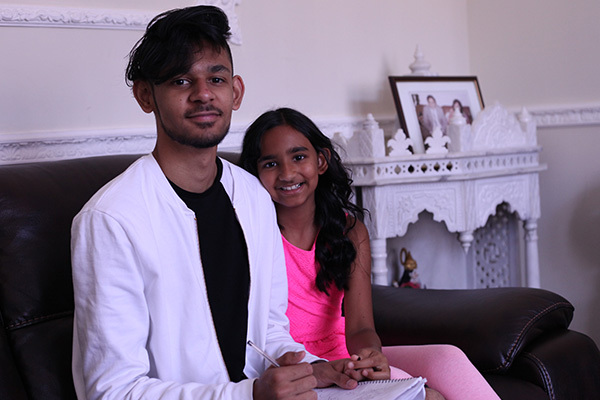 In this film we see Kalvin and Shanti take the reigns and go on a journey to see how they can carry on their mums legacy whilst making a happy life for themselves she would be proud of. We follow them on their life affirming journey of discovery as they fulfill their mum’s wishes and support each other in the next chapter of their lives.